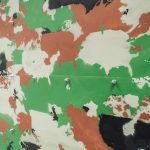 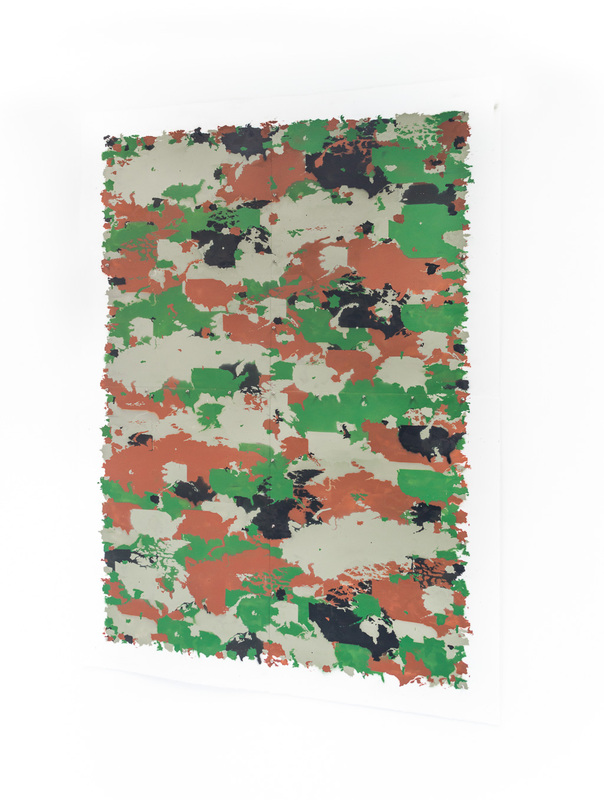 CAMOUFLAGE#5, (composition with 38 land masses from the NATO and the Warsaw Pact alliances), 150cm x 112cm, spray paint on paper, spike studs, 2017. 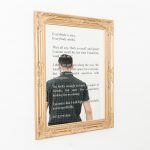 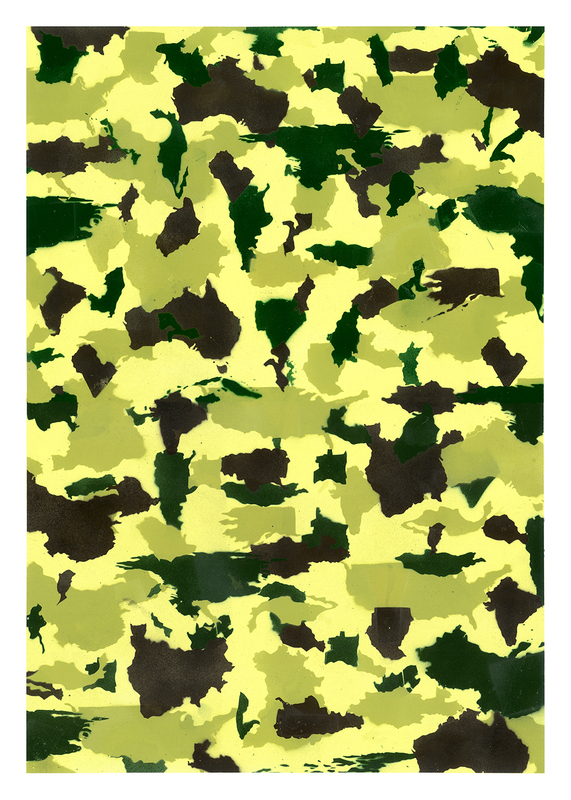 Click on the images to enlarge and enter the slideshow mode. 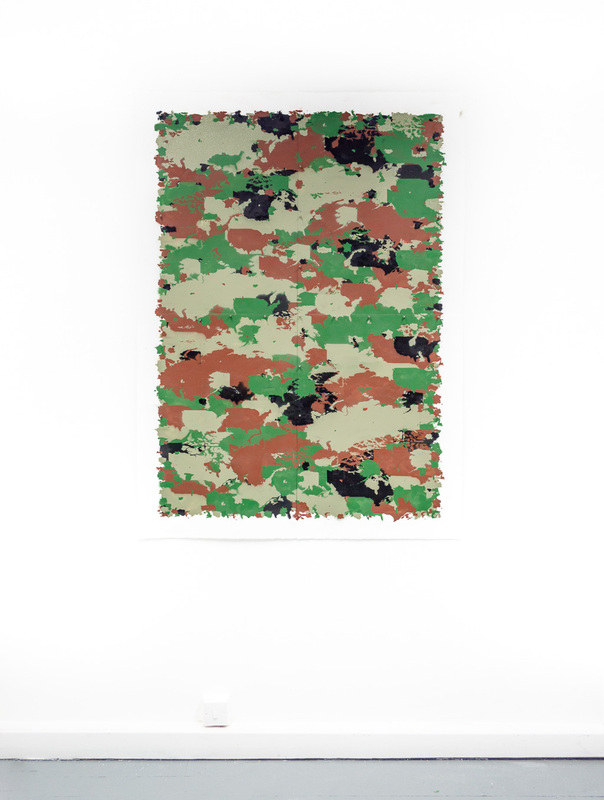 CAMOUFLAGE#5, (composition with 38 land masses from the NATO and the Warsaw Pact alliances), 150cm x 112cm, spray paint on paper, spike studs, 2017. 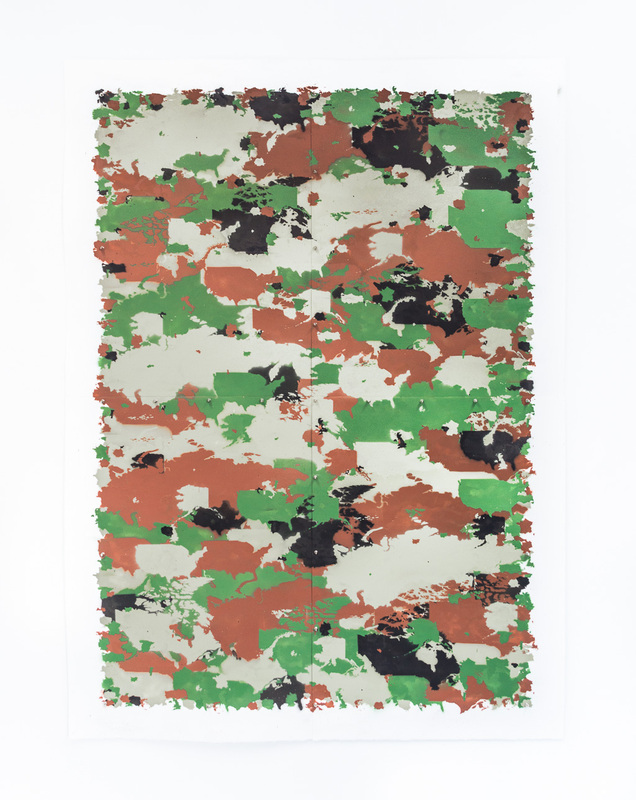 CAMOUFLAGE#5, (composition with 38 land masses from the NATO and the Warsaw Pact alliances), 150cm x 112cm, spray paint on paper, spike studs, 2017. 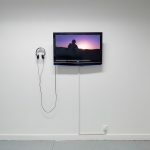 Exhibition view from “Acies” at The Number Shop. 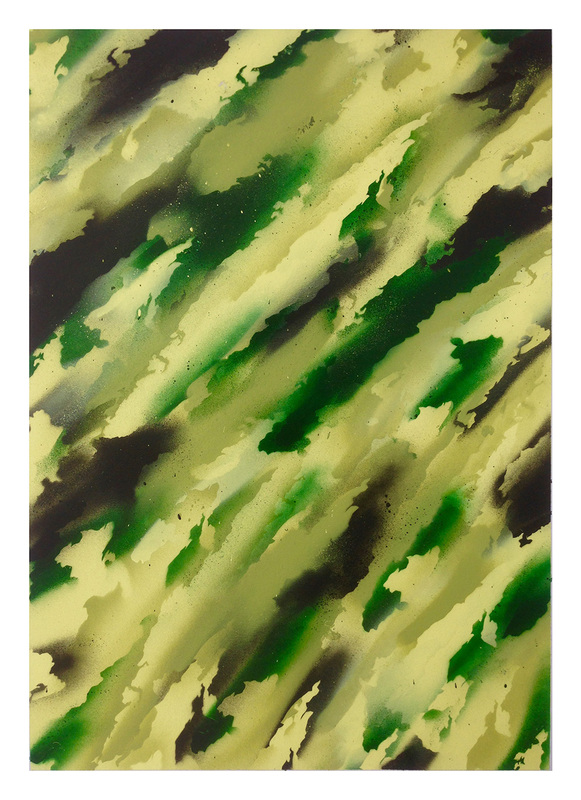 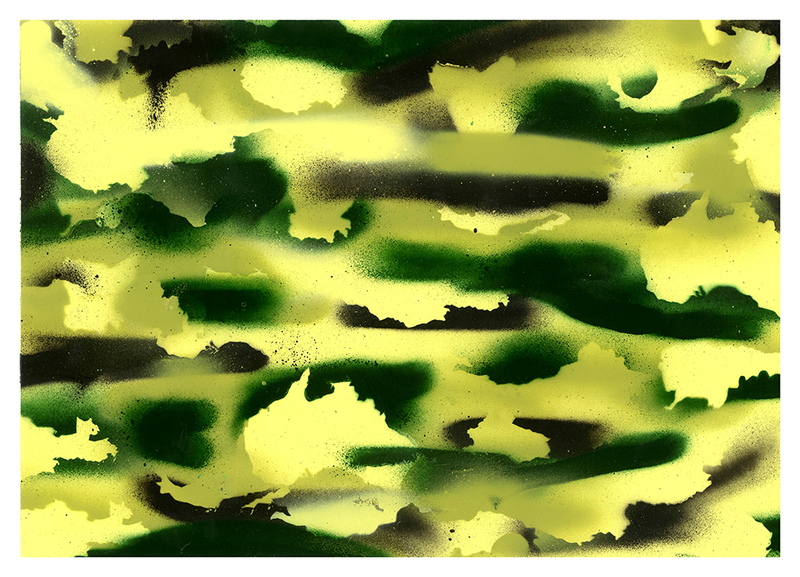 CAMOUFLAGE #4 (COMPOSITION WITH ONE LAND MASS), spray paint on paper, 80 x 30 cm, 2017. 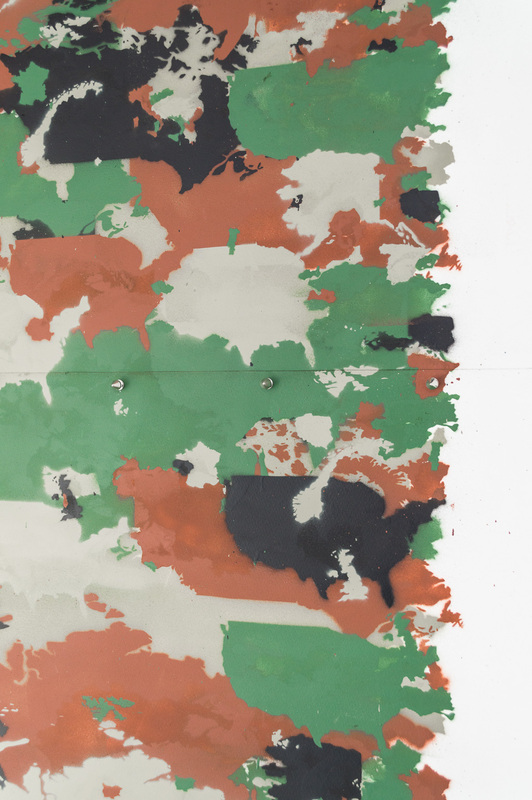 CAMOUFLAGE#3 (COMPOSITION WITH TWELVE LAND MASSES), detail, spray paint on paper, 80 x 30 cm, 2017. 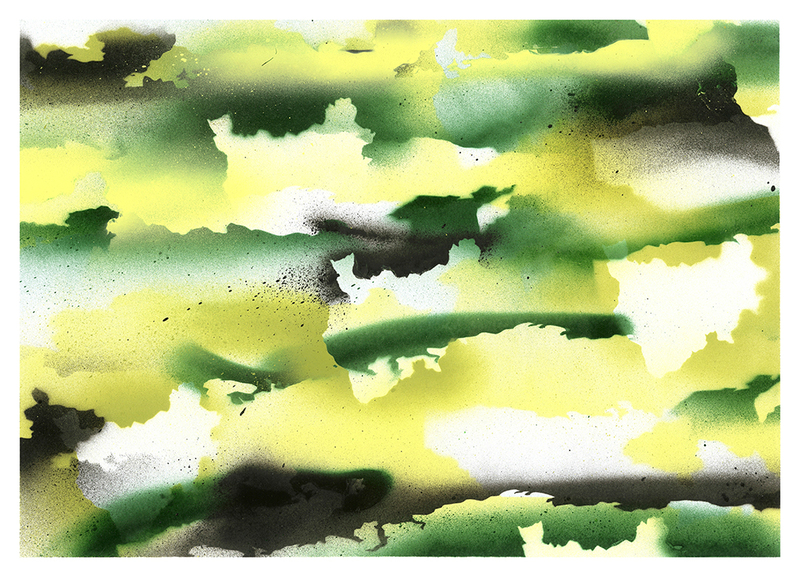 CAMOUFLAGE #1 (COMPOSITION WITH THREE LAND MASSES), spray paint on paper, 50 x 70 cm, 2017. 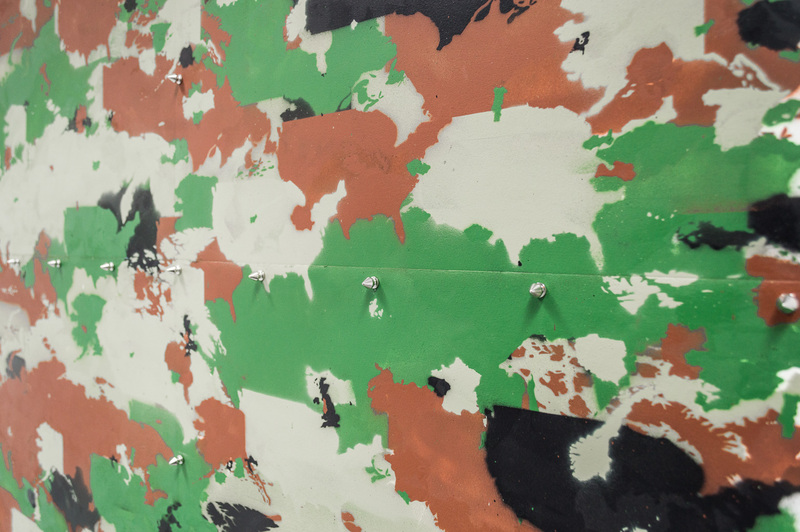 A series of stencil paintings realised using countries outlines, with the intent of challenging the descriptive features of maps.